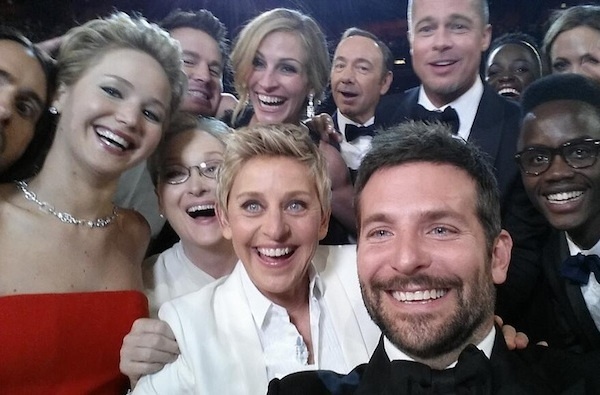 Unless you’ve been living in a cave this past week (AKA, still using Plurk), you’ll be very aware that a celebrity-packed selfie taken during The 86th Academy Awards by actor Bradley Cooper, and shared by Oscars host Ellen Degeneres, has become the most retweeted tweet of all time, with more than 3 million retweets… and counting. 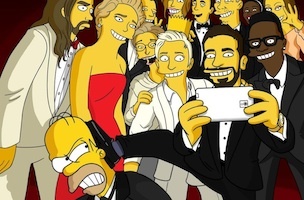 And now, for the first time ever, we can reveal what really happened the moment that photo was taken, as unveiled by The Simpsons. First, let’s have another look at Cooper’s pic. And now, here’s The Simpsons take on what happened, as shared by Homer on Twitter. Celebrity. What a crazy world it is.